(CBS/AP) According to actor Will Ferrell, Bulls forward Luol Deng collects rare birds and owns a pet dolphin named Chachi. While those tidbits may not actually be true, this stat is: Deng is an NBA All-Star. Deng was named as an All-Star reserve Thursday along with a few other first-timers: Portland's LaMarcus Aldridge, Marc Gasol of Memphis, Andre Iguodala of Philadelphia and Indiana's Roy Hibbert. It's a long overdue honor for Deng. The eight-year player out of Duke has flown under the national radar for most of his career but he's been the Bulls' most consistent scorer (not including MVP Derrick Rose, of course). Since the 2006-07 season, he has average almost 17 points per game. But it's on the defensive end where Deng really stands out. Under coach Tom Thibodeau, the Bulls have arguably the top defensive unit in the NBA and Deng leads the way - he has the length to guard forwards and the speed and footwork to handle guards. Last year, Deng finished 10th in the Defensive Player of the Year Award. 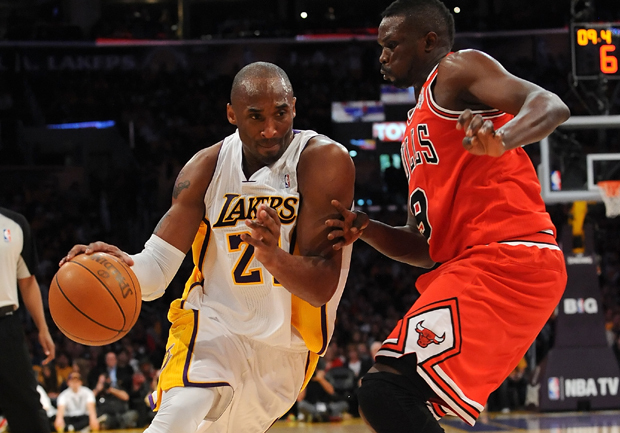 "He has great length and body control," Thibodeau said after Deng shut down Kobe Bryant down the stretch of a Bulls win in December. "He challenges shots, keeps the ball in front. He's a very good individual defender and excellent team defender." Deng, who was born in Sudan but grew up in England, also becomes the first Briton to play in an NBA All-Star game. Meanwhile, Dirk Nowitzki was chosen to his 11th straight All-Star game, with coaches overlooking the lowest scoring average since his second NBA season in favor of his long-term excellence. "It was a tough road back to full health for me, but I am honored that the coaches thought enough of me to make me an All-Star," Nowitzki said in a statement. "It has been a privilege to represent the Mavericks organization over the last decade and I look forward to doing it again in Orlando." Paul Pierce will join him despite his own slow start caused by a foot injury and was picked for the 10th time. But Kevin Garnett wasn't chosen after 14 consecutive selections, and Tim Duncan was left out after 13 in a row. Other All-Star regulars such as Ray Allen and Amare Stoudemire will be home. Also headed to the Feb. 26 game are NBA assists leader Steve Nash of Phoenix, Tony Parker of San Antonio, Russell Westbrook of Oklahoma City, Kevin Love of Minnesota, Chris Bosh of Miami, Atlanta's Joe Johnson and Deron Williams of New Jersey. Already voted to start by fans in the Eastern Conference were Orlando's Dwight Howard, LeBron James and Dwyane Wade of Miami, Chicago's Derrick Rose and New York's Carmelo Anthony. The West starters are the Lakers' Kobe Bryant and Andrew Bynum, Chris Paul and Blake Griffin of the Clippers, and Oklahoma City's Kevin Durant. Coaches voted for the reserves, and they had a tough task in this lockout-shortened season, when they were given only about 25 games to evaluate players. That threatened to make it tough for Nowitzki and Pierce, whose bodies weren't ready to go after the lengthy offseason and brief training camps, and have played below their usual standards. "I think it's too early. I'm sitting on my couch when they announced the rosters and I'm floored. I didn't even know they had started the voting," Celtics coach Doc Rivers said. But the coaches picked Nowitzki, the NBA finals MVP, even though his average of 17.6 points is his worst since he scored 17.5 per game in the 1999-00 season. The Mavericks shut him down for a few games to work on his conditioning, and even he wondered recently whether his streak would continue, given the depth of players in his position in the West. Pierce has been a little better, winning last week's East player of the week award and hiking his average to 18.4 per game, but acknowledged during an interview on TNT before the Celtics played the Lakers that he was a little surprised to be picked. But he'll go alone from Boston, a year after Garnett, Allen and Rajon Rondo went with him. Duncan was there last year, too, having never missed an All-Star game since entering the league in the 1997-98 season. "They're getting older," Rivers said. "It's just, you know, change. It happens." Age didn't stop Nash, averaging 10 assists and shooting 56 percent from the field. He became just the fourth player to earn an All-Star spot at 38 or older, joining Kareem Abdul-Jabbar, Michael Jordan and Karl Malone. Coaches had to pick two forwards, two guards, a center, and two players regardless of position. They couldn't vote for one of their own players. They favored team success, with only Nash, Williams and Gasol getting picked from teams with losing records. That left out All-Star hopefuls such as Milwaukee's Brandon Jennings, the Knicks' Stoudemire  who misses a chance to play near his Florida home  the Grizzlies' Rudy Gay, and Golden State's Monta Ellis. Houston's Kyle Lowry also fell short in the West, where coaches picked three other point guards. Minnesota's awful record last season nearly cost Love, though he eventually made it as an injury replacement. Putting up big numbers again and this time with the Timberwolves on the right side of .500, he was an easy pick. "It's a lot of joy," Love said. "It's really a respect thing. I've had a great season thus far and we've had some success as a team. For me, it's definitely a big deal. I put in a lot of work these last three and a half seasons and I don't intend on stopping." The snubbed players still have a chance if there is an injury. Commissioner David Stern chooses the injury replacements.